Zikula 2.0.0 is an open source MVC web application framework, released under the LGPLv3, that allows you to rapidly build websites for any application including all forms of content management. Zikula 2.0.0 is fast and flexible and easily extendable via a system on plugins, themes and extensions. 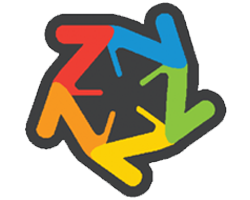 Zikula 2.0.0 has been used for blogs, shops, portals, companies, and high-traffic communities. Zikula 2.0.0 can be used anything. Zikula 2.0.0 has an easy online administration panel for you to manage your site with, and a simple installation/removal system for installing new features. Some benefits that the Zikula 2.0.0 content management system includes are greater site consistency, improved site navigation, streamlined authoring process, faster turnaround time for new pages and changes, increased site flexibility, support for decentralised authoring, increased security, reduced duplication of information, greater capacity for growth, and reduced site maintenance costs. Sign up for our Zikula 2.0.0 UK Hosting with no risk to try our excellent service start from £2.99/month! ASPHostDirectory.com offers cheap Zikula 2.0.0 Web Hosting to all our new and existing UK customers. You can try our services before buy it. Get FREE 7 days Trial Hosting with us. There's no obligation to buy — you can upgrade to a more robust account or cancel at any time. No risk anymore, why wait longer?